services for ages 3 and under. There is a class for every age level. The children’s classes use crafts and Bible stories to teach the Word of God. Teen and Adult classes study in-depth Bible topics in an informal discussion setting. 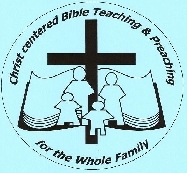 We worship God together with hymns, praise & worship songs, and with Bible preaching that is practical and applicable. There is a Children’s Church for children through Grade 6. Join us for a good time of fellowship for the whole family as we sing your favorite hymns, praise songs, and choruses, and then study the Bible together in an informal format. We meet to share our needs, present these needs to God in prayer, and study the Bible, with time for questions and answers.